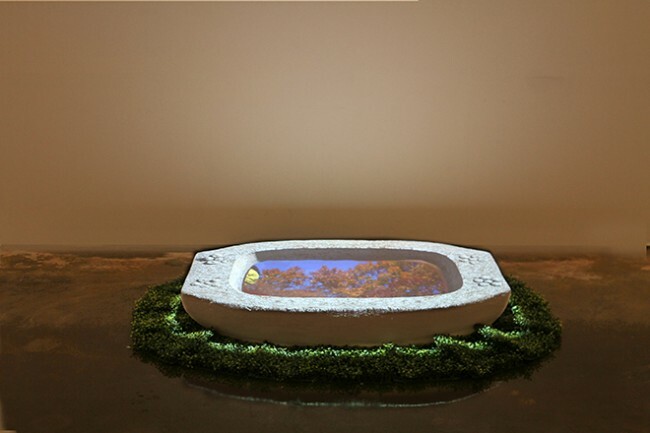 Chang Kyum Kim, "Watershadow, Four Seasons, 2", 2013-14. 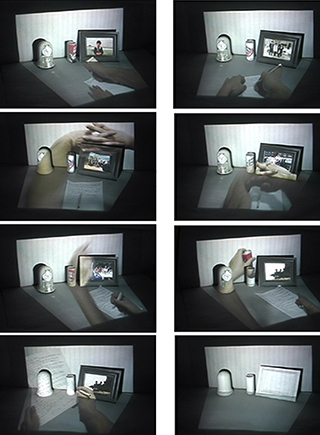 Video Installation, approx 14 mins, 110 x 29 x 20 cm. 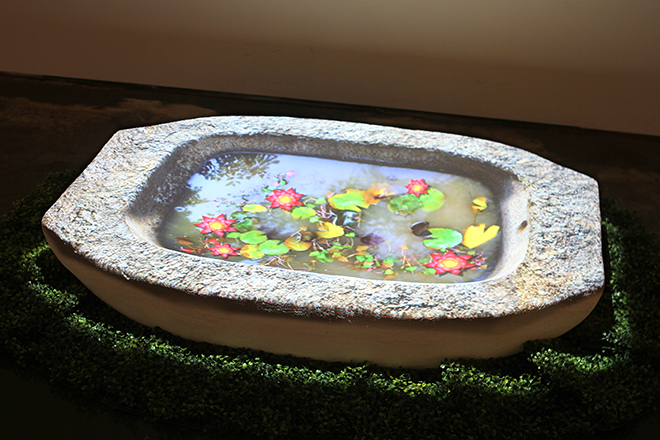 Chang Kyum Kim, "Watershadow, Four Seasons, 2", 2013-14, Video Installation, approx 14 mins, 110 x 29 x 20 cm. 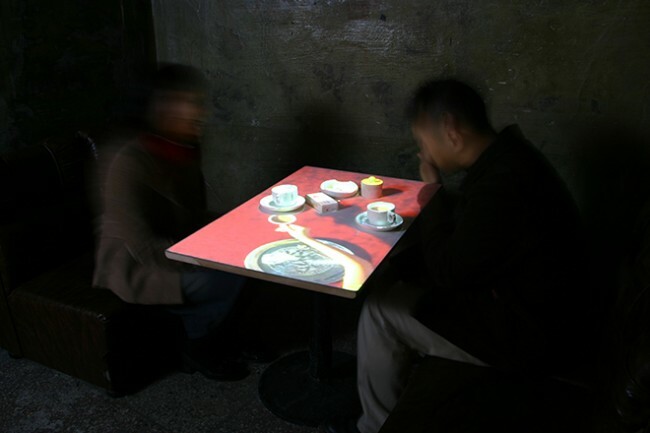 Chang Kyum Kim, "Sarubia Dabang 2", 2003, Video Installation, approx 6 min. 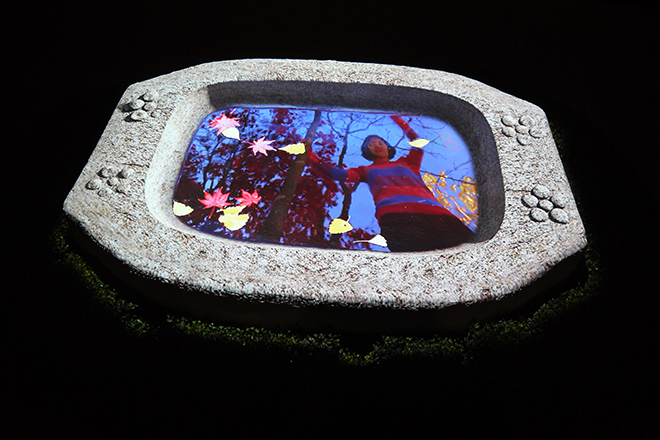 Chang Kyum Kim, "Watershadow, Four Seasons, 1", 2006-07. 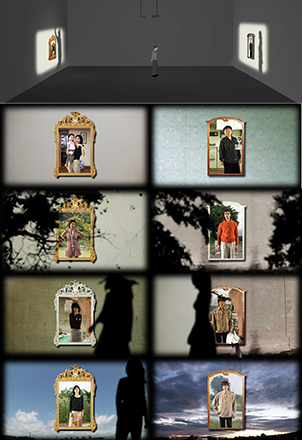 Video Installation, approx 14 mins, 110 x 29 x 20 cm. Chang Kyum Kim, "Letter", 2000. Video installation, approx 6 mins. 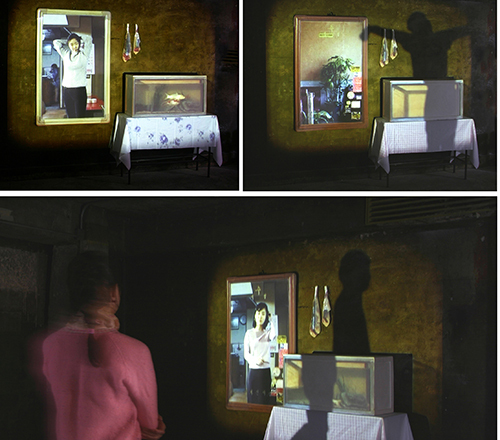 Chang Kyum Kim, "Room of Mirrors", 2006. 2 channel video installation, approx 8 mins.